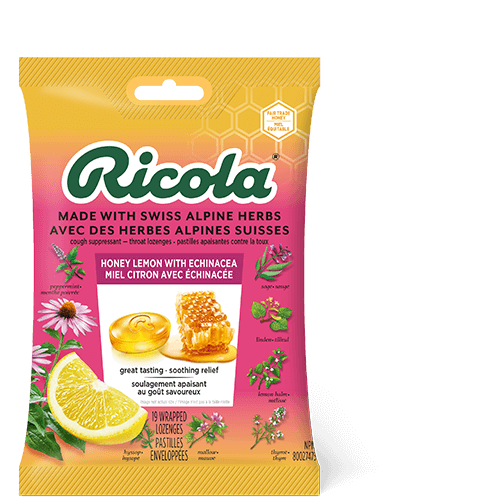 Non-medicinal ingredients: Sugar, glucose syrup, citric acid, honey, concentrated lemon juice, natural flavours (honey, lemon oil). 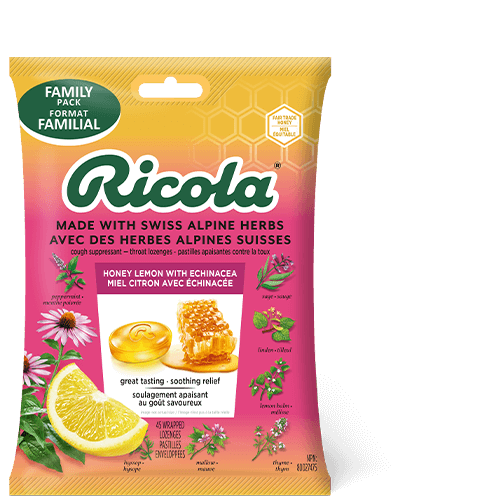 Recommended dose: (Adults): Dissolve one lozenge slowly in the mouth every 1 – 2 hours up to a maximum of 5 lozenges per day. Consult a health care practitioner prior to use if you are taking immunosuppressants. Consult a health care practitioner prior to use if you have a progressive systemic disease such as tuberculosis, leucosis, collagenosis or multiple sclerosis. Consult a health care practitioner prior to use if you have anaemia, gallstones, hiatus hernia or gastroesophagael reflux. Hypersensitivity has known to occur; in which case, discontinue use. Some people may experience gastroesophagael reflux.